A good end to a great series! The Silver Gryphon is the last book in the Mage Wars trilogy, the first in the epic Valdemar saga. The first book in the series was pure high fantasy, the second less magic and more intrigue, and this one is a tale of survival. It also contains one of my favorite quotes from any book, ever... “In a calm, clear voice, she suggested that the wyrsa in question could do several highly improbable, athletically difficult and possibly biologically impractical things involving its own mother, a few household implements, and a dead fish.” A dozen or so years have passed since the end of The White Gryphon. Unlike the first two books, this one does not center solely on Drake and Skan. Instead, this one focuses on Tadrith and Silverblade, the children of Skan and Drake respectively. The two are partners in the Silvers, the pseudo military/law enforcement service of White Gryphon. They have been in training and now it is time for them to go out on their first scouting mission. Their parents are so notorious that both of them are more than willing to leave, to be out from under watchful eyes. But things go badly for them almost from the start and they end up lost and alone, injured and being pursued by forces they have never experienced. This is more of an action novel than one of magic and mystery. Although I enjoyed the story and I love the two new characters, it just wasn't as much fun to read. Yes, there was a bit of mystery and some great action, but overall I felt like it just didn't move the story forward as much as the others. It was good for character development, except for the fact that this book is the one and only one in the series that discusses these two characters. My Recommendation: No, this wasn't my favorite in the series, aside from the great quote. But it is still enjoyable for a fan of the Valdemar series. Very good end of the trilogy. 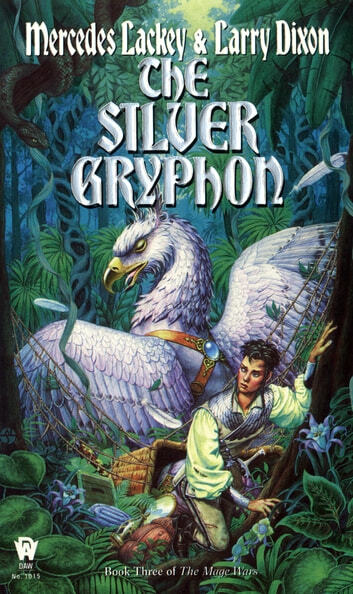 Story is as good as the usual Gryphon & Valdemar episodes. There is a little bit more philosophical argumentation. Too much typos errors are systematically cropping every few pages. It looks like scanned from a book and using characters recognition (OCR) and not enough reviews to fine-tune the final product.